On Tuesday, the Ohio House voted 71-26 on House Bill 523 to legalize marijuana for medical use only. 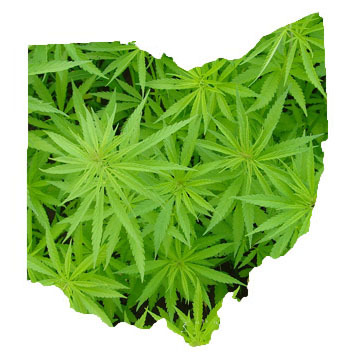 The bill then moved to the Ohio Senate, which began hearings yesterday on the bill which is aimed at establishing a strictly regulated system of providing doctor-recommended marijuana to patients. Additionally, House Bill 523 would downgrade marijuana in Ohio to Schedule II when it comes to medical use only. Some of the strict regulations include: prohibiting smoking and growing marijuana; preserving employers’ right to fire or discipline a worker who tests positive for marijuana; and denying workers’ compensation benefits for work injuries where marijuana is found in the injured workers’ system. Currently, the bill specifically lists 18 conditions for which medical marijuana is deemed appropriate: AIDS, HIV, amyotrophic lateral sclerosis, cancer, chronic traumatic encephalopathy, Crohn’s disease, epilepsy of other seizure disorders, glaucoma, hepatitis C, inflammatory bowel disease, multiple sclerosis, “chronic, severe, or intractable” pain, Parkinson’s, post-traumatic stress syndrome, sickle cell anemia, spinal cord damage, Tourette’s syndrome, and traumatic brain syndrome. A new, governor appointed, nine-member state commission operating within the Department of Commerce would write the rules and licenses for marijuana growers, processors, retailers, and laboratories, and could add more conditions if they deem appropriate. Passage of this bill may not dissuade medical marijuana supporters from pursuing a constitutional amendment to legalize medical marijuana. Presently, two separate proposed medical marijuana constitutional amendments have been certified by the Ballot Board. Ultimately, a constitutional amendment would override legislative action.